Massage therapy is the manual manipulation of the soft tissues of the human body. These tissues include muscles, connective tissue, tendons, and ligaments. There are tremendous benefits to be achieved through regular massage therapy treatments with a Registered Massage Therapist. Whether your need is to have a moment of relaxation, reduce muscle tension, or attain relief from pain, a therapeutic massage can enhance your overall health and well-being. 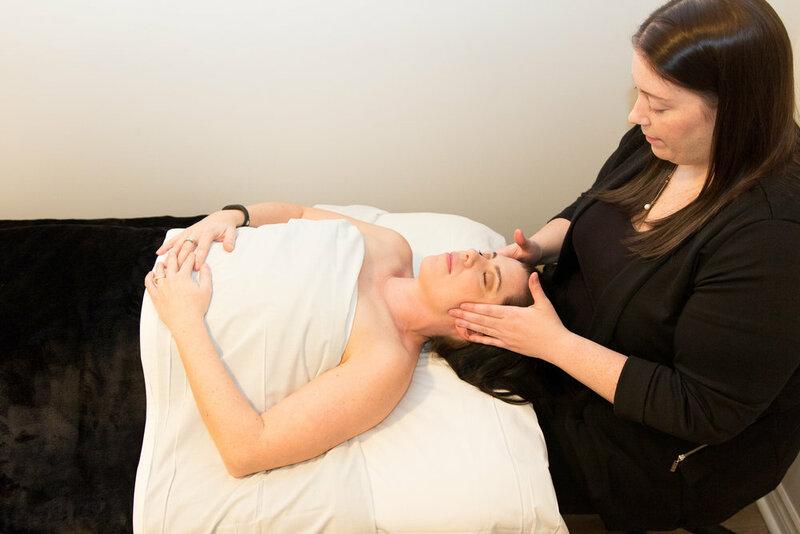 Massage therapy helps to alleviate soft tissue discomfort associated with occupational stresses, muscular over-use, trauma and other musculoskeletal disorders, and is an excellent form of preventative healthcare. Massage therapy is proven to be a favorable approach to pain management and injury rehabilitation (for people of all ages), as it encourages the body's own healing process and decreases healing time for both acute and chronic conditions. Headaches ▪ Migraines ▪ Whiplash ▪ TMJ (Jaw) Dysfunction ▪ Neck and Shoulder Pain ▪ Upper and Mid Back Pain▪ Frozen Shoulder ▪ Rotator Cuff Injuries ▪ Tennis Elbow ▪ Golfer’s Elbow ▪ Carpal Tunnel ▪ Low Back and Hip Pain ▪ Sciatica ▪ Piriformis Syndrome ▪ Sacroiliac (SI) Dysfunction ▪ Iliotibial Band Syndrome ▪ Patellar Tendonitis ▪ Plantar Fasciitis ▪ Myofascial Pain Syndrome ▪ Fibromyalgia ▪ Chronic Fatigue Syndrome ▪ Depression ▪ Anxiety & Stress ▪ Insomnia ▪ Repetitive Strain Injuries ▪ Arthritis ▪ Sports Injuries. In addition to classic massage therapy, we are pleased to offer a variety of therapeutic massage techniques. These techniques include myofascial release, trigger point therapy, cupping massage, deep tissue therapy and magnesium oil massage (Transdermal Magnesium Oil Supplementation). We are happy to cater each massage treatment to your specific preferences (music, temperature, room light, massage pressure) and your personal health goals. Our goal is to help you return to a pain free, active lifestyle. Call (902) 835-5755 today to schedule an appointment and begin your journey to better health.